In the midst of all our trials and tribulations, our faith sustains us as it has so many of the generations that have come before us. 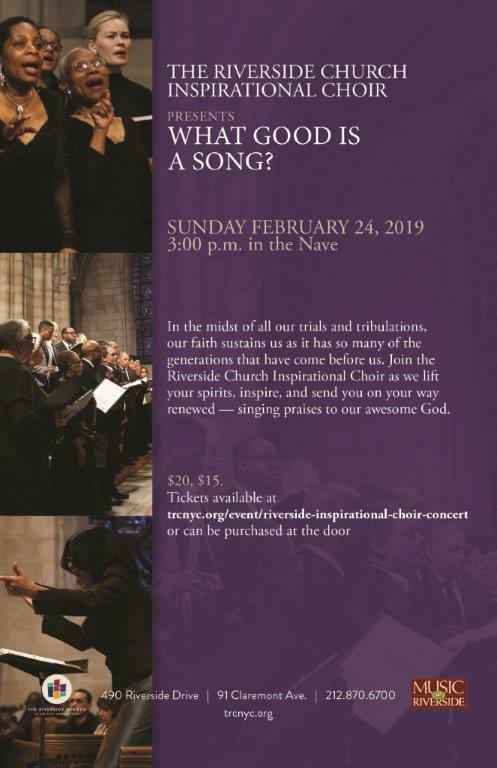 Join the Riverside Church Inspirational Choir as we lift your spirits, inspire, and send you on your way renewed, singing praises to our awesome God! Visit trcnyc.org/WhatGoodIsASong for more information and to purchase tickets.